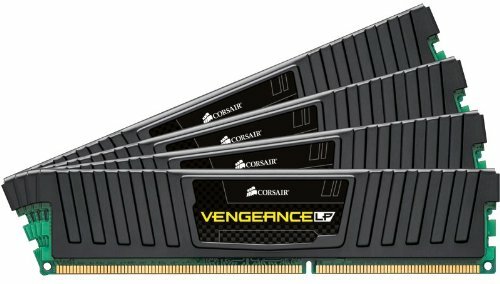 Vengeance LP Performance Memory modules, 32GB (4x8GB) DDR3 1600MHz CL10 Unbuffered DIMM Memory with XMP 1.3 for Intel Dual and Quad Channel platforms, including 2nd and 3rd generation Intel Core Processor platforms. Every Vengeance memory module provides users with outstanding performance and high quality. Vengeance memory modules are built using carefully selected DRAM to allow excellent overclocking performance and rock solid stability. Compatible with AMD, Intel Z68, Z77 and X79 platforms.